The daunting task of picking a resort for your ski holiday never seems to get easier. If you’re an intermediate skier though, you’re lucky. 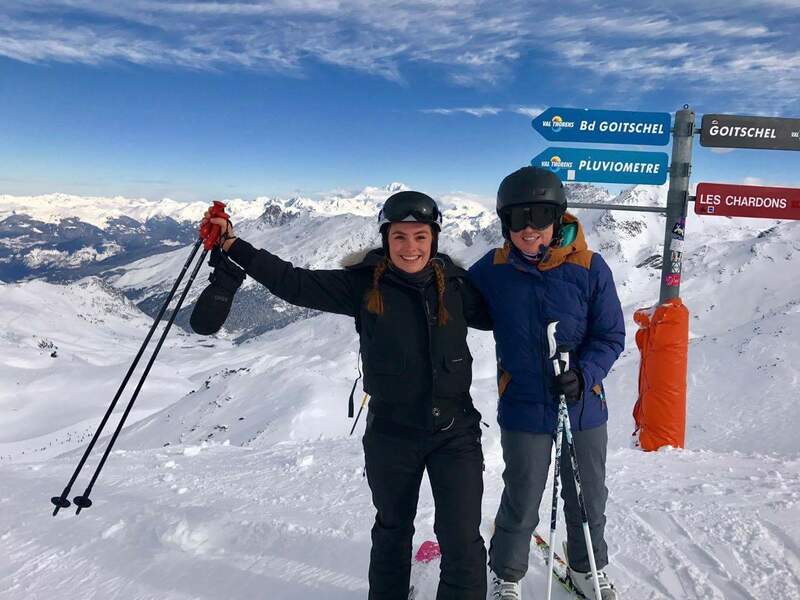 A number of resorts have a good range of blue and red pistes, perfect for you to be comfortable and perhaps push yourself a little on the slopes. But which ones are those? 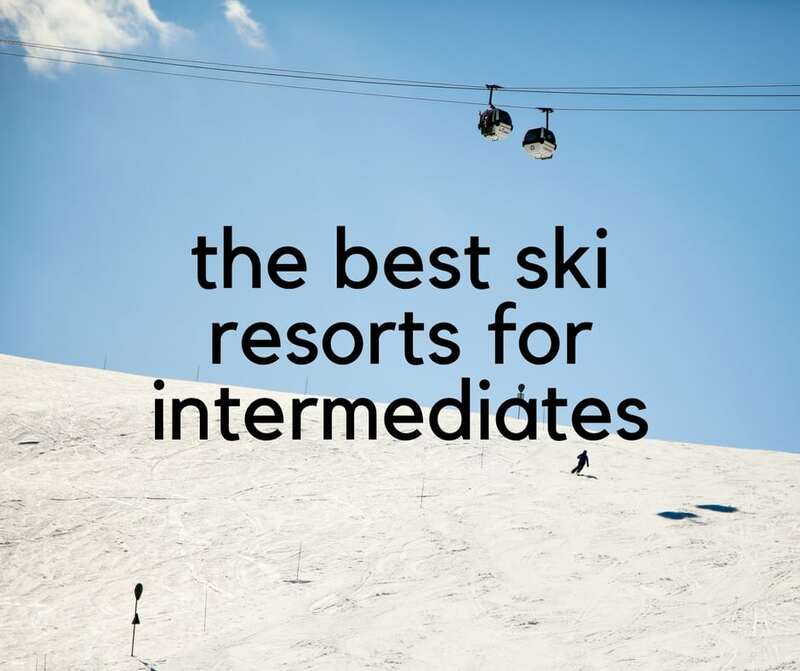 A piste map doesn’t tell the whole story, so we’ve hand-picked some of the best ski resorts for intermediates. 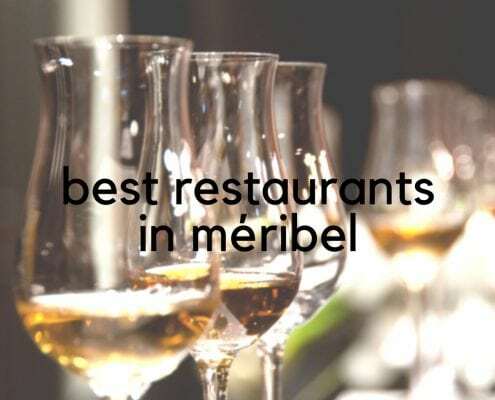 Méribel is a great resort for intermediates not just because of it’s terrain, but it’s perfect location within the 3 Valleys, allowing you to access even more blues and reds throughout the area. If blues are more your style you’re in luck, because the majority of Méribel’s pistes are blue. The Tougnete area is great in the mornings, as it has the sun and lovely groomed runs to warm up your legs. If you’re ready for some reds there are a number of lovely winding reds down into Méribel from the Tougnette bubble, as well as under the Plattieres bubble at the base of Mottaret. And do not miss the opportunity to head up to the top of Mont du Vallon in Méribel Mottaret. Once at the top you can take your pick of the two long, winding reds that swirl down the mountain. Stunning views + great runs = bliss. 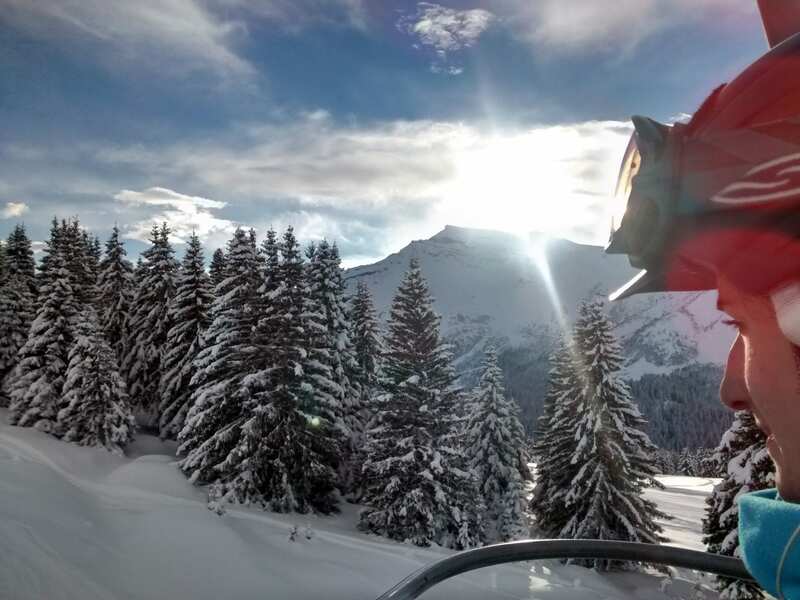 When it comes to a mountain truly capable of catering for all levels of skier, Morzine is in a class of it’s own. One short cable car journey from the centre of town allows you access to a range of terrain suitable for pros and complete novices alike. But if you are perhaps somewhere in the middle of these two levels of confidence fear not as one swift turn to the right straight off the cable car leads you to pistes B, Crocus, Les Chardons , Corbeau, Daim and Daguet. All of these pistes are blue, which means they are not hugely steep and a great place to warm up those legs. They also all run back down to the main cable car of Morzine meaning that you would struggle to get lost. Should you be feeling particularly brave, or willing to put your skills to the test, then taking a left after the cable car will put you directly onto some reasonably steep red runs named Abeile, Hermaine, and Renard. Renard and Hermine lead directly to the bottom cable whereas Abeille leads to the D’atray chairlift which puts you back on the top of Morzine and from there you can contiune exploring these various blues and reds (don’t forget, there is also plenty of off piste and tree runs around these areas to investigate) or you can venture further afield to Nyon and Les Gets. 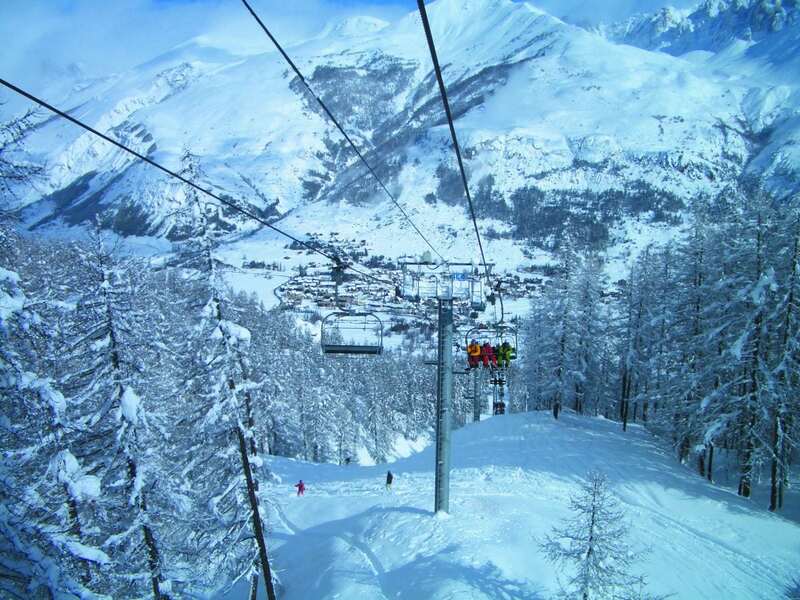 Serre Chevalier is a great option for intermediates who are looking for a quiet resort away from the hustle and bustle. And although the piste map shows more red runs than blue, a number of them are on the easier side, which is perfect for intermediates who are ready for something a little more challenging. 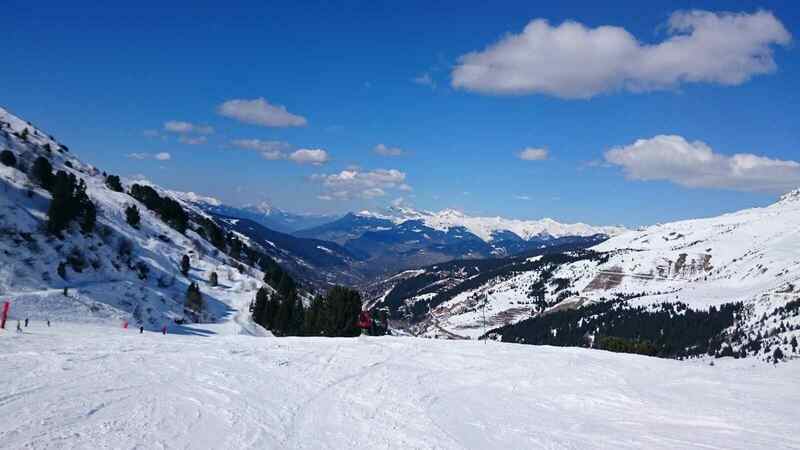 Head above Frejus & Grande Alpe you’ll find wide open bowls. These broad, spacious pistes are perfect for fine tuning those turns. Or check out Briançon at the lower end of the of the resort for lots of cruisey blues and reds. But we have to admit, Monetier is our favourite spot to ski in Serre Chevalier. It has long windy runs through the woods and often is the least crowded area. And around the mid station there at about 200m you’ll find some of our favourite intermediate runs: L’Eychauda, Aya and Corvaria. 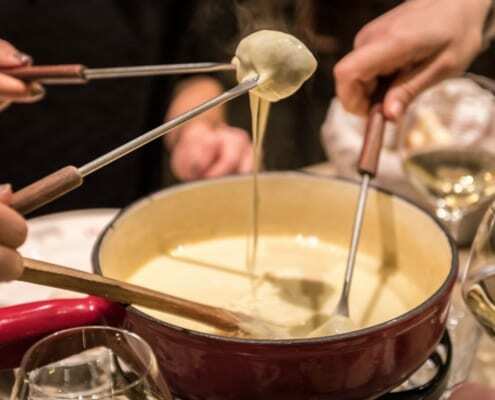 Val Thorens centre is quite high up on the mountain, which means intermediates can ski at high altitude, and really take in the views of the entire Three Valleys, as well as reach the glacier just off of the Glacier and Col chairlifts. And with a new blue run in the Plein Sud area that they have shaped this summer, it will be even easier for intermediates to access Meribel and the rest of the 3 Valleys. The lower slopes in Val Thorens tend to be cruisy and wide, with a gentle slope, perfect for finding your ski legs again. The Boismint area is great for quieter pistes or if you’re looking to push yourself a bit the Cime Caron area will give you a long descent down. And don’t forget to take a day to ski down to St Martin. Enjoy some nice blues and reds and of course, the infamous piste Jerusalem. Are you an intermediate skier? What’s your favourite resort to ski? Let us know in the comments below.